PhaseWare's co-founders—Hoyt Mann, who holds the title of president, and Randall Nelson, CEO—first worked together at RamQuest Software in the early to mid- 2000s. Nelson was president and CEO of the title and escrow accounting software company at the time and Mann was the director of software engineering. The two shared a good reputation in their respective fields and in software development in general. They also shared a vision of what customer support software should be for the small and midsize business (SMB) market. The two men founded PhaseWare in January 2005 in McKinney, Texas, made their first sale in 2006, and began to make a profit in 2007. Partnering with customer service experts at different firms with experience in both off-the-shelf and custom customer support software, they designed their CRM products to combine what they believed to be the best of both worlds. Later, PhaseWare refined these products with help from experts from the Help Desk Institute and IT Service and Support organizations. A small company itself, with just under $5 million in annual revenues and 10 employees serving just over 135 customers, PhaseWare sought to provide logistically and financially practical customer service and support software applications to SMB business-to-consumer companies in the $5M to $20M annual revenue range. The goal was to scale everything large enterprises had to the needs of SMBs with as little IT involvement as possible. Since its founding, PhaseWare has focused on organic growth and has consistently increased its customer base year-over-year. In 2011, the company grew approximately 30% in an otherwise sluggish economy. 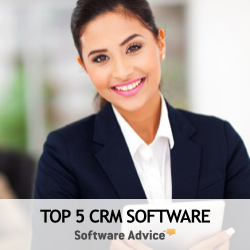 PhaseWare does not provide a full CRM software suite; instead it focuses on best of breed customer service applications and offers a simple but flexible customer support software product which is most suitable for small businesses that require little to no telephony interaction with their customers or those with a telephony routing component already in place. It fits the small business niche well and, since its products are built upon and tightly integrated with the Microsoft desktop and Microsoft technologies, it rides Microsoft's coat tails in order to tap into new technologies and deliver regular software updates and feature enhancements—part of a business growth strategy which favors steady organic growth over outside capital to support more accelerated growth. The PhaseWare customer base is nearly evenly divided in terms of deployment and delivery models, with about 55% of its customer base using its Tracker on-premise software and about 45% using the Tracker OnDemand cloud solution. The company enjoys high levels of customer retention, which it describes as being in the "upper 90 percent" range. The most concerning aspect of using this customer support software suite is the fact that in a Software as a Service delivery model, PhaseWare has only one data center and offers no formal Service Level Agreement (SLA) to its clients. Ironically, its Tracker software does offer SLA management and guidelines for customers to create their own SLAs. The lack of a formal SLA means that PhaseWare customers will need to ensure terms and conditions that are normally found in such a document are fully addressed in the purchase agreement or software subscription contract. While some customers will have no issue with the lack of an SLA, since criticisms abound concerning the scanty protections afforded by some CRM competitor SaaS SLAs, other small business owners may have more concern about information security, data privacy, uptime assurance and financial remedies for non-compliance.